Donald Trump and Israeli prime minister Benjamin Netanyahu are waging a war against the media. 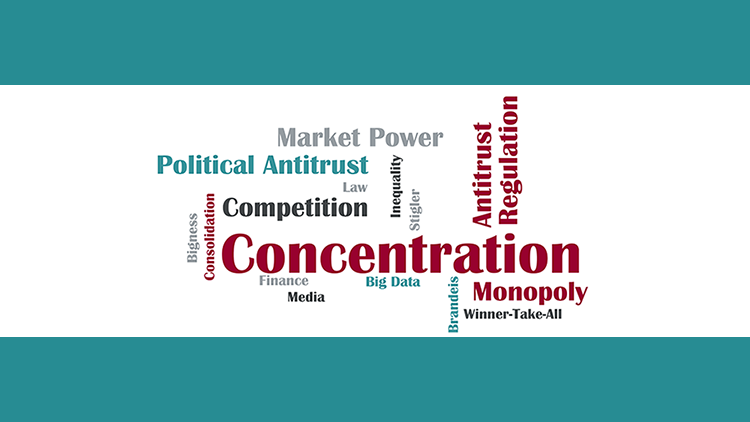 Their tools of choice are the same ones used by Richard Nixon: regulation and antitrust. 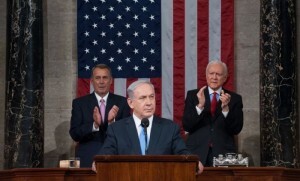 Most American readers probably did not hear or read about the latest political upheaval that took Israel by storm this week, as four-term prime minister Benjamin Netanyahu threatened to dissolve his coalition and hold a snap election—over 2 years before his term is supposed to end. If you haven’t been following Israeli politics closely, you might assume that this sudden threat is related to some major security or foreign policy issue dividing Israel. You would be wrong. If Israel does indeed go to election, it would be the second time in two years that it has done so as part of battles for control over private and public media. Even if you have zero interest in Israeli policies, you might want to get acquainted with the facts, because it seems that Netanyahu and President Trump—his ally— are mimicking each other when it comes to media and politics. When it comes to the media, as we will soon see, both have the taken a page from the same playbook: Richard Nixon’s. Some people in the U.S. may get the impression that Donald Trump is not only the first media-celebrity-turned-president but also the most media-obsessed leader in any democracy. An incredible percentage of Trump’s tweets, comments, and rhetoric deal with the news media, or as he calls it, the “fake news media.” For Trump, any news media that isn’t cheerleading him is instantly deemed part of the Fake Club. Netanyahu did not wait for Trump’s election to start his own war on the media. Since the last election in Israel, which took place in March 2015, Netanyahu has escalated his war on the Israeli news media in an unprecedented manner. Netanyahu not only attacks the news media in speeches and social media posts (unlike Trump, his platform of choice is Facebook) but he also takes action: in the last year, Netanyahu has proposed or introduced a series of rules and actions that will directly or indirectly weaken media outlets that, not coincidentally, are not very supportive of him. This week, Netanyahu threatened to call for early elections and did not even attempt to justify it with some excuse about the settlements. He told Israel’s Minister of Finance Moshe Kahlon (head of the Kulanu party, a member of Netanyahu’s coalition) outright that if he does not cooperate with him in shutting down Israel’s newly-formed public Broadcasting Corporation, limiting its operations, or replacing its top editors, he will be fired and a snap election will be announced. This move does not stem from an ideological stance by Netanyahu against public broadcasting—we can put this idea to rest. The new Broadcasting Corporation is the brainchild of Netanyahu’s last government, and his own signature can be found all over all the legislation that created it. So what changed Netanyahu’s mind? To understand this, you have to get acquainted with one of the police investigations that has haunted Netanyahu for the last 3 months. The code name of the investigation is Case 2000, and it’s taken right out of the Nixon Tapes. A few months ago, the Israeli police obtained hours-long recordings made by a Netanyahu aide, under the instruction of Netanyahu himself. The recordings are of long, secret meetings between Netanyahu and his arch-nemesis Arnon (Noni) Mozes, the controlling shareholder and supervising editor of Israel’s most popular paid daily newspaper and news website and probably the most powerful man in Israel in the last three decades. Mozes has been referred to as the “the Israeli version of Rupert Murdoch,” but up until five years ago the market share of his newspaper business was much bigger than Murdoch’s share of the U.K. newspaper market (and possibly any newspaper publisher in any Western democracy). His newspaper empire was declared a monopoly by the Israeli Antitrust Authority In 1995, a classification that was only revoked in 2010. In other words: Netanyahu offered to use his power to eliminate or minimize the competition faced by Mozes’ media empire, and Mozes in return offered to subvert the work of hundreds of journalists employed by his empire so that Netanyahu can remain in power. In conjunction with these secret negotiations, the Israeli parliament (the Knesset) was debating whether to declare Adelson’s newspaper illegal due to its alleged predatory behavior. The contemplated deal between Netanyahu and Mozes fell through, probably due to the deep distrust between them, and Netanyahu called an early election. After surprisingly winning the election, “Bibi” emerged determined to rein in any news outlet that criticized him. This is the background for his attack on the new Broadcasting Corporation, which he feels will not give him the kind of coverage he wants. The harsh, corrupt, and cynical reality of politics and journalism that was revealed in the Netanyahu-Mozes tapes is not so different from the taped conversations between Richard Nixon and his aide Charles Colson, revealed during the Watergate scandal. Nixon was not the only president to use the tools of antitrust enforcement to get favorable coverage from the press. His predecessor Lyndon Johnson leveraged a pending merger between two Texas banks to get favorable coverage in the state’s leading newspaper, The Houston Chronicle. The president of the newspaper also headed one of the banks involved in the merger. The antitrust division was critical of the deal, but Johnson overruled them. Sure enough, he also got the newspaper’s support. This, too, was perceived by many commentators to be related to critical press coverage of Trump, this time in The Washington Post, which is owned by Bezos (Trump claimed the newspaper was being used by Bezos for “political purposes to save Amazon in terms of taxes and in terms of antitrust”). Hatred of the press is not the only thing Trump shares with Netanyahu: both have also received big donations from Sheldon Adelson. Adelson contributed tens of millions of dollars to Trump’s campaign, and has spent over $190 million bankrolling his pro-Netanyahu newspaper, which has yet to turn a profit after 10 years. Given the state of print newspapers, its profitability prospects are very bleak. The sight of Trump and Netanyahu taking a page right out of the Nixon playbook should serve as a caution to those who are interested in re-invigorating antitrust enforcement. In the past year, there has been increasing discussion of the need to re-introduce tougher antitrust measures, as more evidence points to growing market concentration and inequality in the U.S.
People who want to see more aggressive antitrust enforcement that is not solely motivated by efficiency and evidence of price increases (the kind of enforcement that might very well have been the intention of Senator Sherman, the founder of antitrust law in America, and other famous advocates of antitrust enforcement), should remember that without clear criteria, antitrust enforcement can serve as a powerful political tool. Well said, and very impressive talk from a politician. But not a year went by, and Netanyahu turned around and did the exact same thing he warned against. At the beginning of 2015, he forced the chief of Israel’s antitrust authority to resign, after he warned that a gas deal Netanyahu was pushing for would create an unchecked private monopoly. After that, Netanyahu stalled a reform to open the landline telephone business in Israel to competition. The main beneficiary of this latter action was the controlling shareholder of the biggest telecom company in Israel—a Netanyahu confidant who, incidentally, controls a very popular news site which is often supportive of Netanyahu. One would think that the Watergate scandal would serve as a reminder to leaders of the consequences of abuses of power and aggressively going after the media. Trump and Netanyahu are ignoring the lessons of history. Both seem invincible now, sure, but so did Nixon after he won the 1972 election in a landslide.